Stunningly Beautiful! 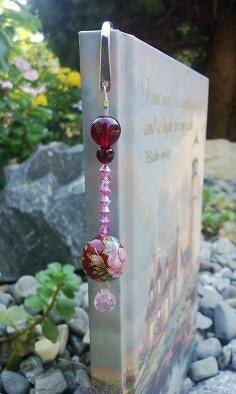 A beaded bookmark that is just so pretty to look at! This is a wonderful gift for anyone who loves to read and is also a fan of the color red or pink. 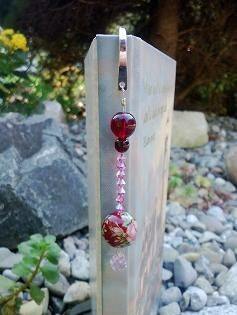 The 16mm Tensha bead complements the garnet glass, pink Swarovski crystals, and pink cubic zirconia teardrop perfectly! It has a very "old world beauty" about it. Entire Bookmark is 5 inches long.